The Papulex Power of 3 is clinically proven in optimizing acne management in a tolerable and effective way. Its unique triple-action formula tackles the 3 main root causes of acne, which are (i) Proliferation of P. acnes bacteria (ii) Increase in sebum production (iii) Inflammation of acne. The ABA (Anti-Bacterial Adhesive substance) technology is EU patented and it is unique to Papulex. The ABA works like a film-forming barrier system to reduce the adhesion of acne bacteria on skin, at the same time prevents the proliferation of P. acnes bacteria. Early management of acne inflammation may minimize the risk of acne marks and scars. The power of Nicotinamide lies in its ability to control acne-induced inflammation. Studies have shown that Nicotinatimide not only has the ability to reduce inflamed lesions, it also decreases acne severity. Zinc is a well-known ingredient used in reducing sebum production activity. The presence of Zinc PCA in Papulex products functions to regulate the sebum production of skin, thus control skin oiliness and shine. At the same time, it does not cause skin dryness. 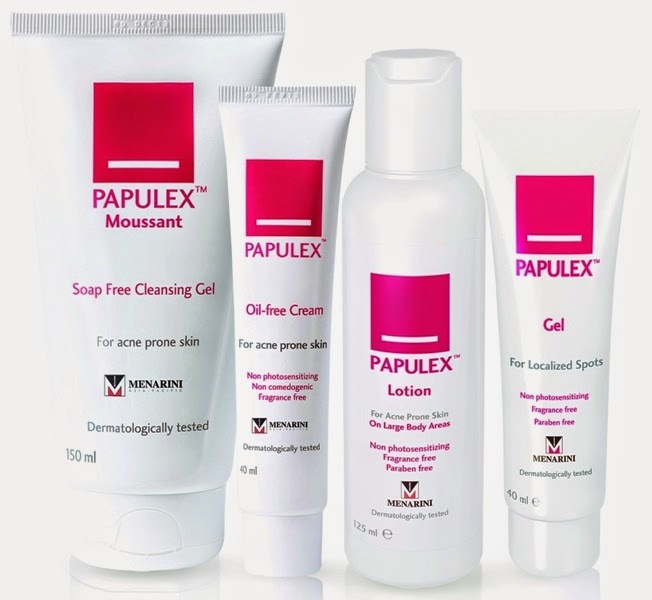 Papulex has recently introduced its anti-blemish Papulex Gel, 40ml @ RM52.80. This anti-blemish transparent gel provides intensive anti-blemish skincare for localized spots on face and other small areas. It promotes the disappearance of blemishes, suitable for day and night use. It is also fragrance free and paraben free. A soap-free formula cleanser that is gentle on skin. It removes oil, dirt and impurities from skin, at the same time helps to fight skin imperfections. Papulex™ gel cleanser helps to reduce the appearance of blemishes while keeping the skin feeling smooth and fresh. It is ideal for daily acne care, even for sensitive skin. With Papulex’s unique triple action formula, Oil Free Cream works effectively to help reduce skin blemishes and skin imperfections. It also contains mattifying agents that can regulate the sebum production on skin and reduce skin oiliness and shine. Oil Free Cream does not block pores and it can be used for day and night. It is fragrance free and it does not contain exfoliating agents which tends to irritate skin. Papulex is now available at local and leading pharmacies, as well as selected clinics nationwide. Yes...wanna try Papulex to get rid of my blemishes.